This is an example of a report available on the website while our bestseller research was active. It was updated every week. When active, book titles were linked to several book vendors. That feature has been disabled on this example, since the links may now be obsolete. This week's top-5. See the complete top-25 with detailed analysis, below. Turnover in the top-25 stayed steady at 10. The returning 15 titles trended downward (-0.9 on a scale of ± 3.0, compared to -0.2 last week). The Churn index for all 25 titles remained steady at 45 (the low remains 30 in early December, the high of 53 was set three weeks ago). The top three spots were claimed by debuts of new titles: Christine Feehan's Air Bound, Jim Butcher's Skin Game, and Clive Cussler's Ghost Ship. 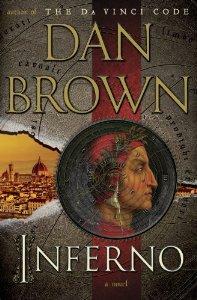 James Patterson's Unlucky 13 and Dan Brown's Inferno both moved down two places to Nr. 4 and 5. Turnover is the number of titles in the top-25 replaced by new entries, those returning to the top-25, or titles moving up into the top-25 for the first time. The Book Thief (23) and A Game of Thrones (55) did not return to the top-25 this week. This listing is normally updated on Mondays, representing the lists posted at the end of the previous week, which in turn represent sales for the preceding week. See notes at the bottom of the page, as well as more detail about our bestseller research on the Bestsellers page. Since the database was begun in mid-2001. In that time, data has been retreived from a total of 12,064 discrete weekly lists (Hardcover Fiction, Children's Picture, etc). This listing is based on the consolidated ranking by title across all three lists. See a more detailed explanation of the lists and our method of ranking on the Bestsellers page. About formats for Children's/Youth: Since Children's book formats and sizes vary considerably, we identify them in the two broad groups of hardcover or paper. An asterisk is used to indicate a new title or a new edition of a previous bestseller. It will also indicate an author new to the bestseller lists, though few debut in the top-25. Rating represents the consolidated ranking expressed as a percentile. (The method of calculation was refined in June 2012). The maximum rating for each title is 100 (%), with a maximum of 75 points from a single edition. Only one title can achieve a "perfect" rating of 100.0, since USA's single 150-list allows for only one Nr. 1 (PW has 6, NYT 16). Caveat for Children's titles: Coverage of children's titles improved in June 2012 when PW introducted two lists for children's fiction and picture books. That leaves out a smaller number of nonfiction titles, but is a major improvement in creating a lvel playing field across the three lists. There is still a limitation caused by the NYT Children's Series list because indiividual titles are not revealed, with all titles collapsed into the single series entry.